But when it’s 5 o’clock on a Wednesday night and I think what on earth am I going to make for dinner that’s quick, healthy and will taste good?……it’s those times when the tried-and-true recipes muscle their way to the top of my thoughts. 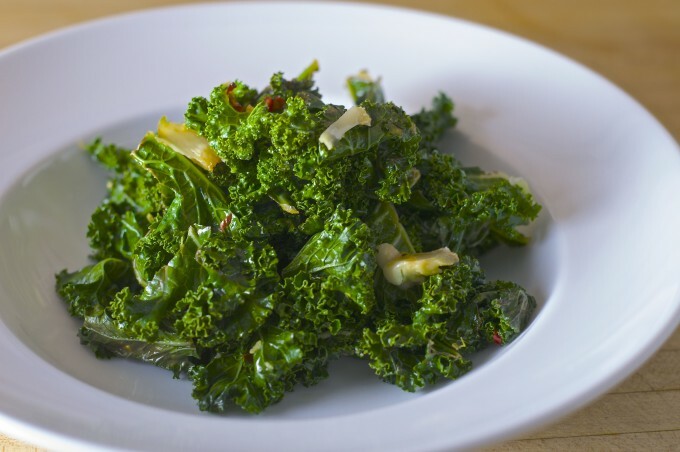 This sautéed kale is one of those staples I can count on. First up, it’s easy. It’s also reliably tasty, with the softened garlic and squeeze of fresh lemon juice. 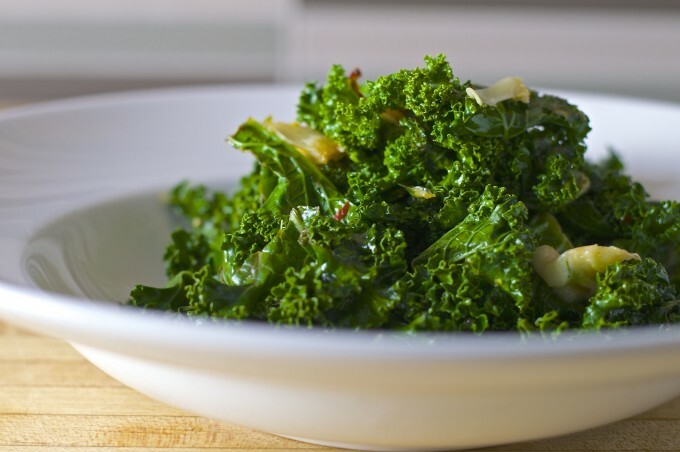 It’s healthy — heck, kale is a superfood, right? It’s fast, as in less than 5 minutes to put together. And it goes with most every main dish — fish, chicken, beef, lamb — you name it. It’s like the ultimate winter side dish. 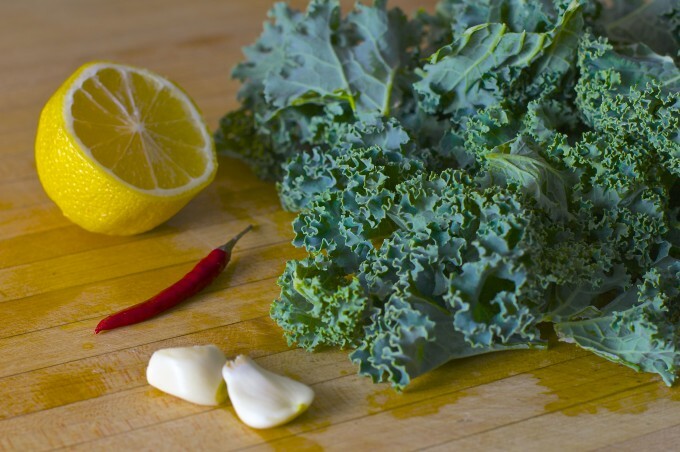 Rinse kale and tear leaves from the stalks. Smash the garlic with the side of a large chef knife or cleaver. Heat oil in a large sauté pan over medium-low heat. Add the garlic cloves and chili, and stir occasionally for 2-3 minutes or until the garlic and chili pieces are softened. Add the chicken stock (or water) and continue to cook for 2-3 minutes, or until the kale has softened and turned a gorgeous bright green. Stir in the lemon zest and juice, and season to taste with salt and pepper.